Michele A. Eodice is the Associate Provost for Academic Engagement and director of the writing center at the University of Oklahoma. She also develops writing across campus and academic engagement initiatives, including those involving undergraduate research and service learning. She earned a Ph.D. in English, writing her dissertation on co-authoring and collaborative writing in the classroom. 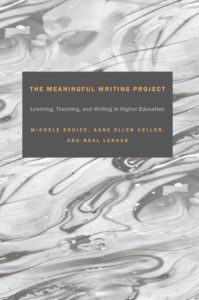 Michele’s research interests include co-authoring, collaborative writing, adult and higher education, developing faculty writing at universities, and student engagement and learning through writing practices. Among her publications, two books are the products of important collaborations: (First Person)2 : A Study of Co-Authoring in the Academy (2001), written with Kami Day, and The Everyday Writing Center: A Community of Practice (2007), written with Anne Ellen Geller, Frankie Condon, Meg Carroll, and Elizabeth H. Boquet. With Anne Ellen Geller, she published Working with Faculty Writers in 2013. At St. John’s University in Queens, New York, Anne Ellen Geller is Professor of English, and Director of Writing Across Communities. 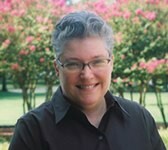 She teaches undergraduate and graduate English courses and works with faculty across the disciplines. Anne is one of five collaborators on The Everyday Writing Center: A Community of Practice (Utah State University Press, 2007). She is currently researching and writing When Johnny Couldn’t Write: What Came of the National Endowment for the Humanities Grants for Writing, 1973 -1987, a book project in which she is tracing the impact of the millions of dollars the National Endowment for the Humanities devoted to seminars for teachers of writing and to the development of writing programs at large and small, public and private colleges and universities across the country. 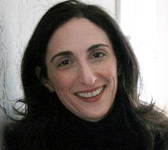 With Michele Eodice, she published Working with Faculty Writers in 2013. Neal Lerner is Professor of English and Writing Center Director at Northeastern University in Boston, MA, where he teaches first-year writing and advanced writing for science and engineering students. His book The Idea of a Writing Laboratory (Southern Illinois UP, 2009) won the 2011 NCTE David H. Russell Award for Distinguished Research in the Teaching of English. 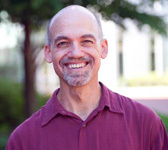 He is also the co-author of Learning to Communicate as a Scientist and Engineer: Case Studies from MIT (MIT Press, 2010), which won the 2012 CCCC Advancement of Knowledge Award, and co-author of The Longman Guide to Peer Tutoring, 2nd ed (Pearson/Longman, 2007). He is a five-time recipient of the International Writing Centers Association Outstanding Scholarship Award and has published on the history of teaching writing, the history of teaching science, and administrative and theoretical issues in writing programs and centers.